7 Best Central Texas Waterfalls to Add to Your Summer Bucket List! 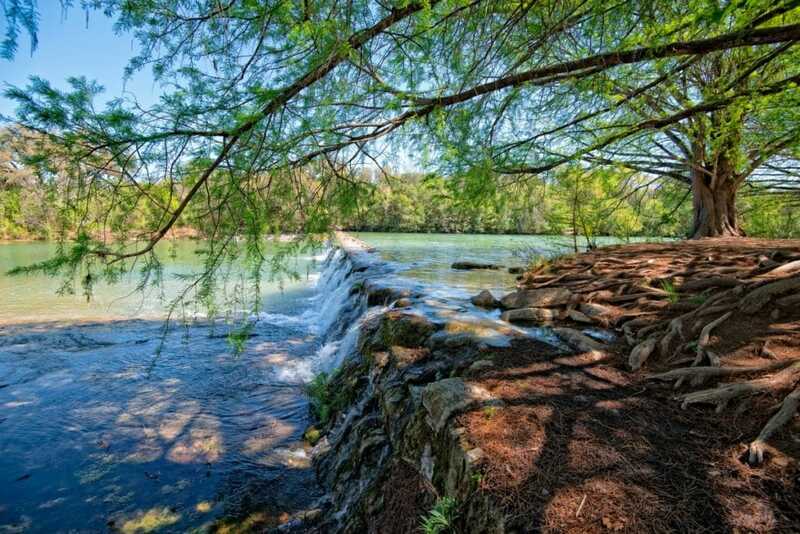 You don’t have to travel far to cool down this summer with this collection of the 7 Best Central Texas Waterfalls located within an hour of the greater Austin area. City parks, state parks, and everything in between! Make no mistake about it, Texas can be downright unbearable during the summer. You’re either taking refuge in the air conditioning or trying to find another watering hole to cool off in. For most people that means swimming pools, lakes, or the beach. 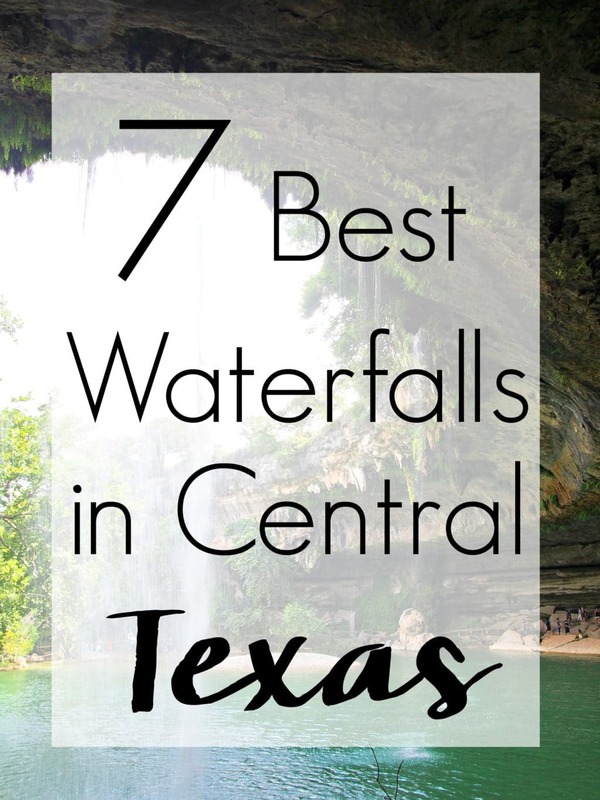 But this summer, you should head outside and check out the 7 Best Central Texas Waterfalls to keep you cool! 1. Zilker Park Waterfalls. Located in the heart of downtown Austin, Zilker Park is the park you think of when you think about an Austin park. And it doesn’t disappoint. 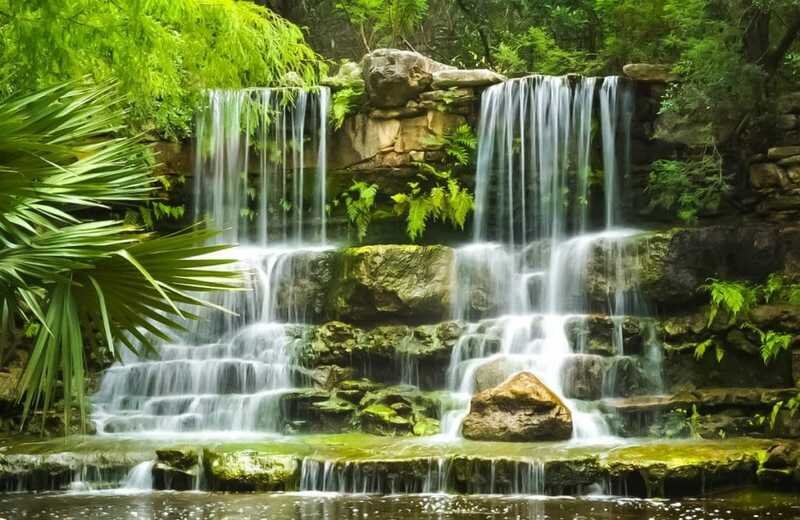 Situated next to the Austin Nature & Science Center with live animals and a dinosaur dig exhibit you can find the Zilker Park Waterfalls among the beautiful flowers and exotic plants. 2. Krause Springs. Just a short drive up Highway 71 in Spicewood, you’ll find family-owned, Krause Spring. You can find 32 natural springs on the property, creating a waterfall and natural pool which feeds into Lake Travis. With reasonably priced campgrounds and a butterfly garden on the property, this is a great place to enjoy a summer staycation. 3. McKinney Falls State Park. 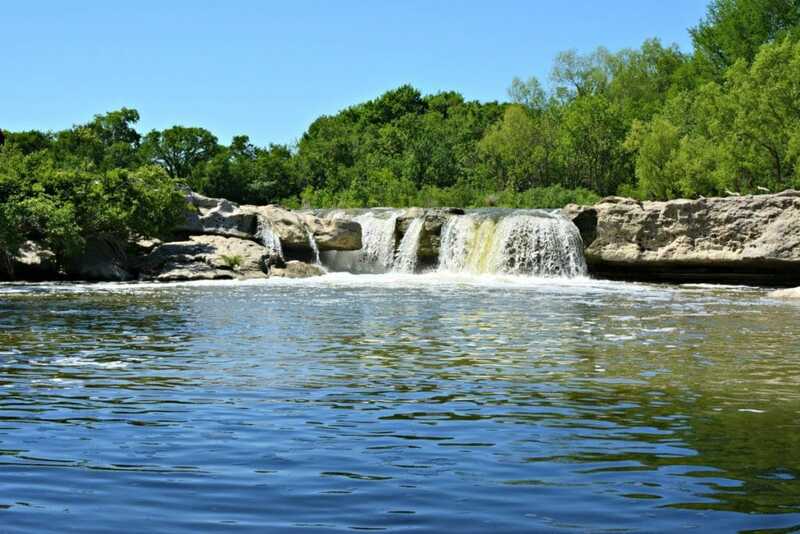 Just 13 miles from the Texas State Capitol is McKinney Falls State Park. 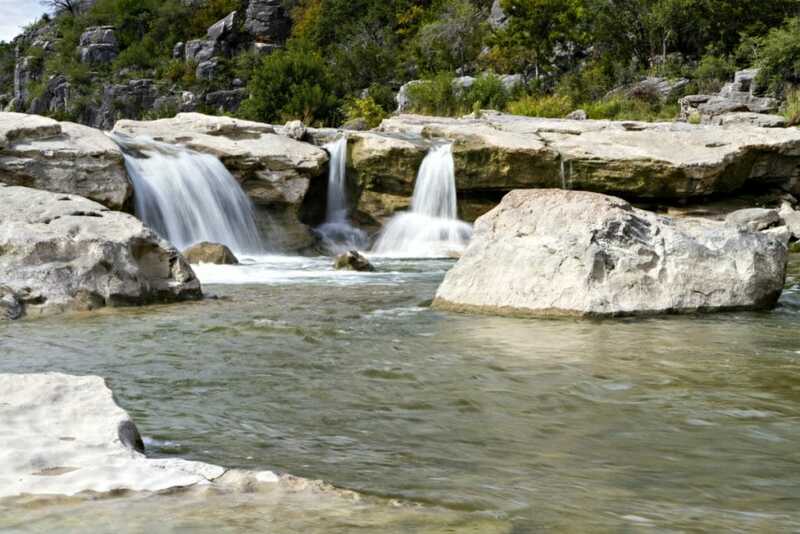 You can swim and fish in Onion Creek, hike and bike the trails, or camp at more than 81 campsites or cabins. 4. Blanco State Park. This state park located off Highway 281 in Blanco, could easily get overlooked but has a lot going for it. Whether you camp, stay in an RV, or just picnic, fish, or swim in the Blanco River this is a fun spot to cool off and spend an afternoon. 5. Blue Hole Regional Park. This popular swimming hole in Wimberley is another spot that you have to see to believe. Make sure to arrive early in summer as the park does reach capacity and after doing so will be closed for a minimum of 2 hours to allow visitors to enjoy the park. You’ll have to drag your kids out of the park and away from the rope swing! 6. Hamilton Pool. 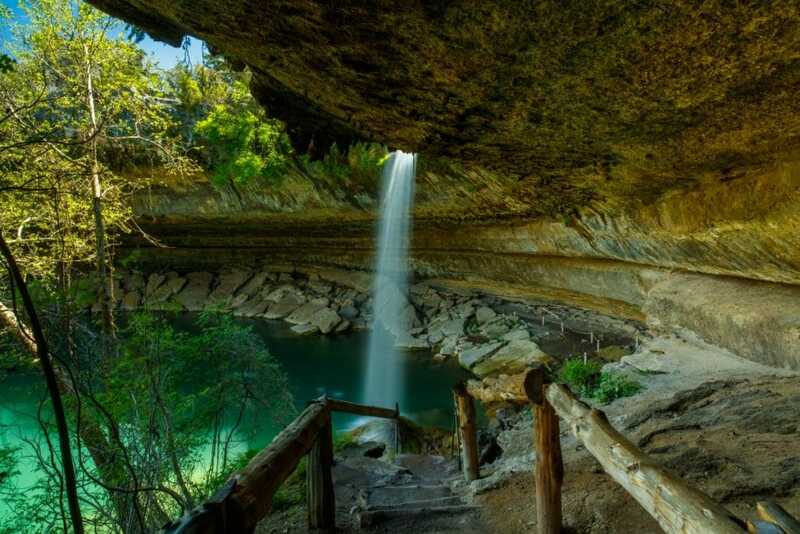 Perhaps my favorite spot on this list, the 50-foot waterfall at Hamilton Pool is just a short drive from the suburbs of Austin down Hamilton Pool Road. After years of long lines and allowing cars in on a one-in one-out basis, reservations are now required before entering the park so make sure to plan early if you want to visit this beauty. If you’re handicapped or unable to walk for very long, this may not be the park for you as there is a rugged, 1/4 mile hike between the parking lot and the pool itself. 7. Pedernales Falls State Park. While there’s plenty to do outside of the water, like horseback riding and hiking, being in the water is where it’s really at. You’ll be able to swim int he river, tube, or kayak your way through this amazing state park! 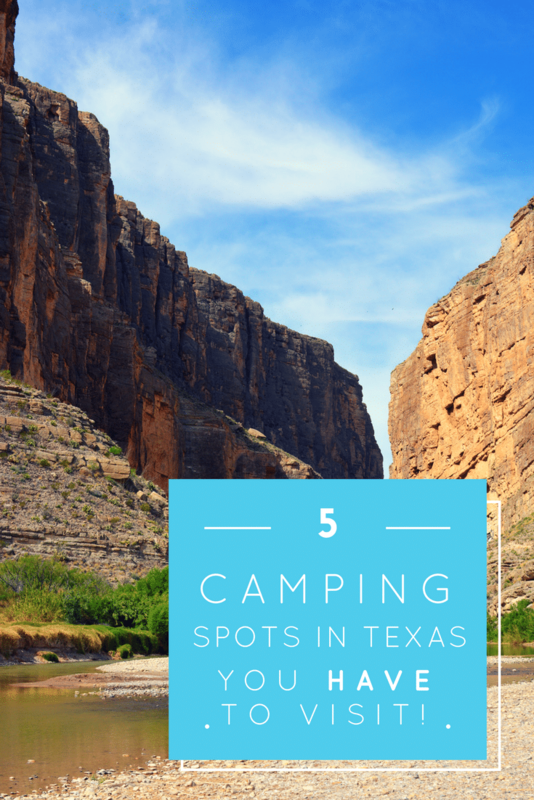 If you’re still looking for more travel inspiration after visiting the 7 best Central Texas waterfalls, check out this list of the 5 Best Camping Spots in Texas!